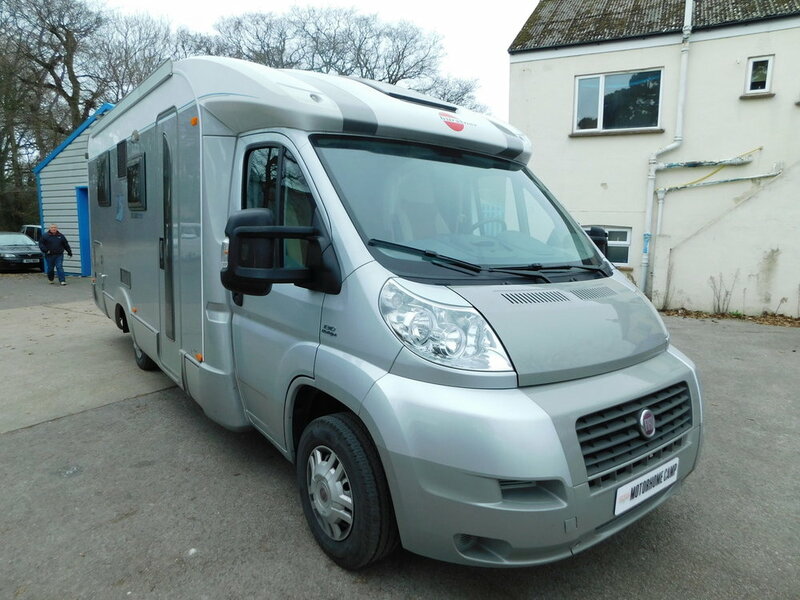 2008 Burstner Solano t725 Left Hand Drive 3 Berth Motorhome with Rear Island Double Bed. 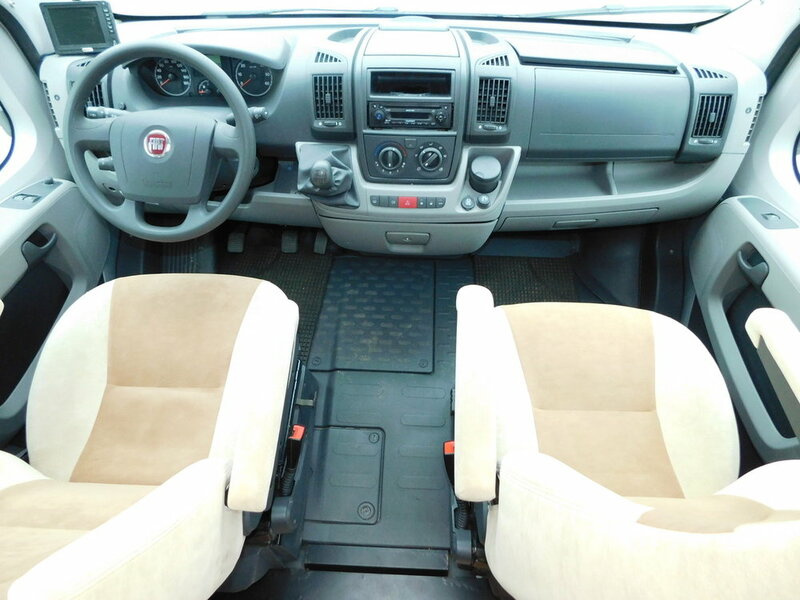 Based on the Fiat chassis with the economical 2.3 litre engine and 6 speed manual gearbox. Located in Hayling Island. 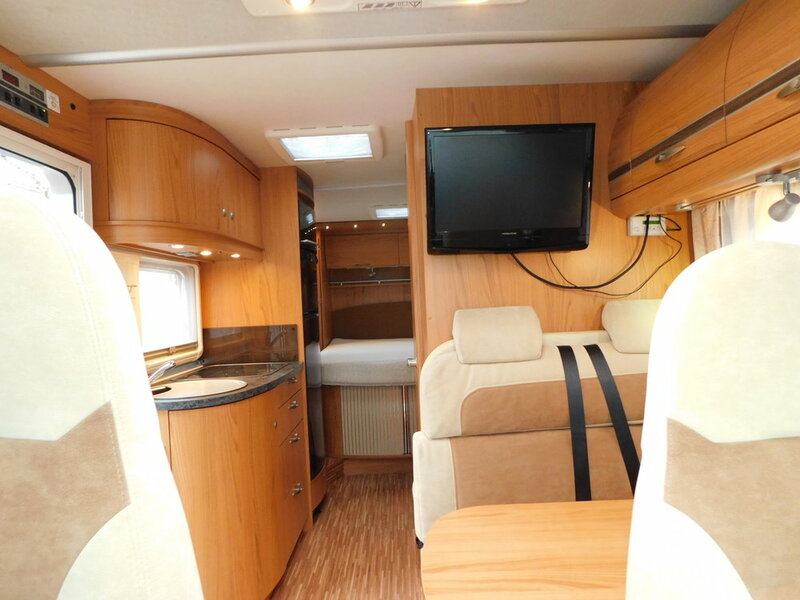 This superb model is finished in metallic silver and has the desirable neutral Novalife Amber fabric. Only 2 Owners and with just 35,400 miles from New. We have that great rear island Double bed which you can walk around. Up front in the Cab we have Air Conditioning and a Colour Reversing Camera, as well as electric windows and door mirrors. We have Double Glazing all round with built in Blinds and Flyscreens, as well as Central Heating and Hot water which is operated by either Gas or Electric. 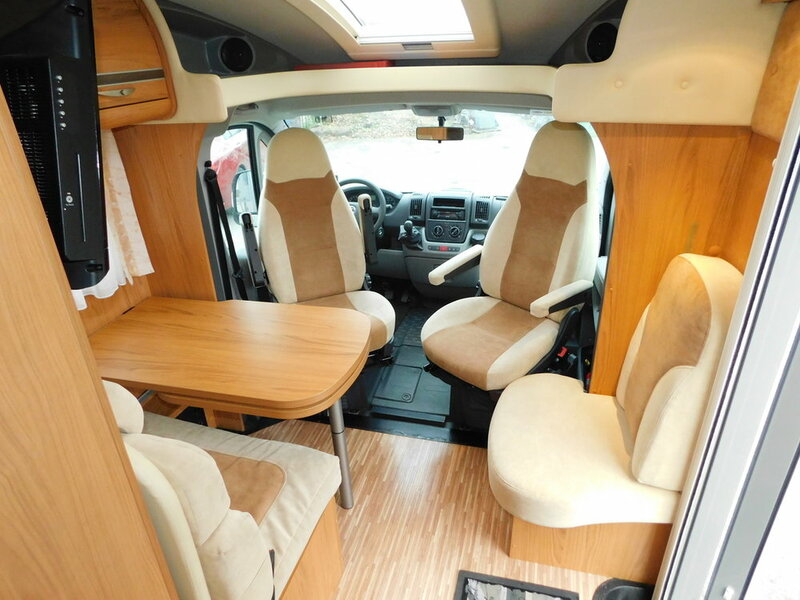 The two front seats swivel to become part of the Lounge and Dining area, and there is also an additional side seat which enables up to 5 people to dine in comfort. There are 2 x 3 point seat belts, which gives a Total of 4 Travelling seats. 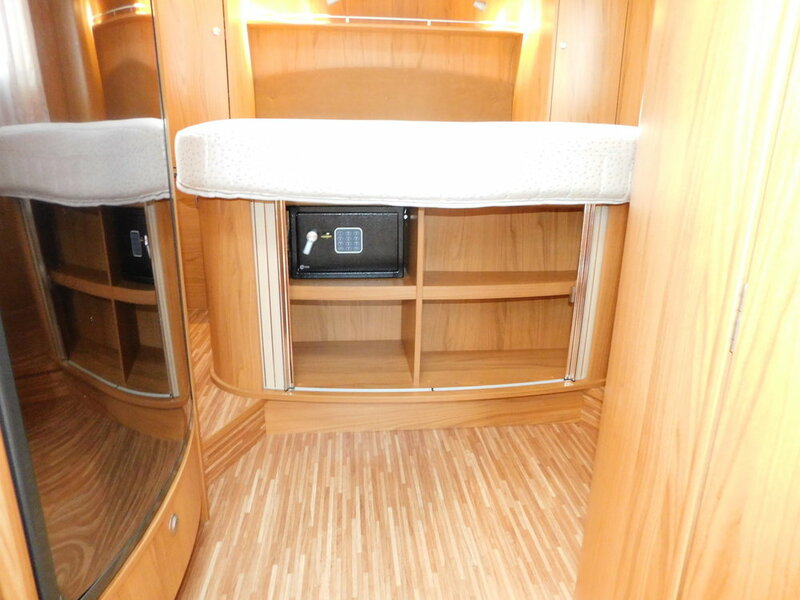 The dining area converts to the 3rd Berth. There is also a built in rear heater in this area which you can use to keep your rear passengers warm whilst travelling. We have a Large TV as well as the added bonus of an Oyster Satellite Dish system plus a Sky box. The Kitchen has a Large Fridge with a Separate Freezer Compartment, and an Oven and Grill as well as a gas hob and sink. There is plenty of worktop space including a pull out worktop drawer. The Rear Bedroom has lots of storage including Wardrobes and a cupboard with twin sliding tambour doors and a built in Safe. 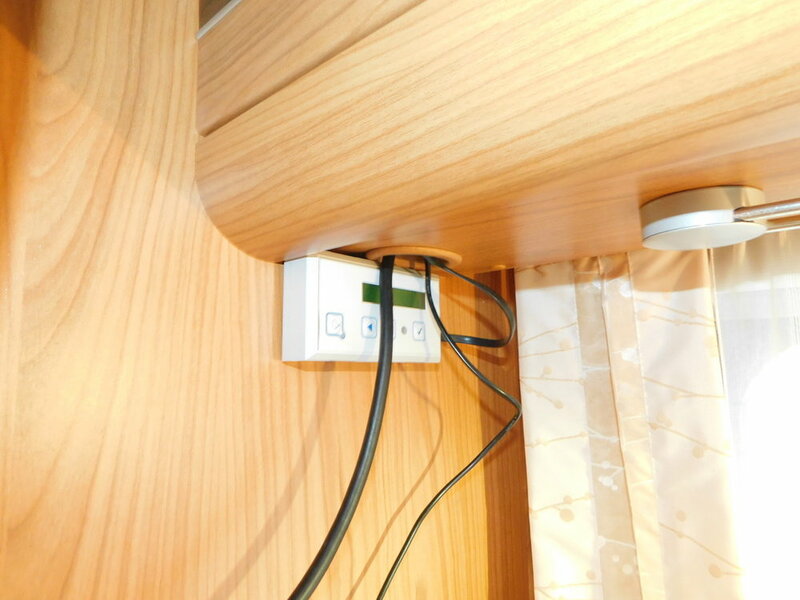 The Bedroom also has an Additional TV with built in dvd player. On the outside we have a large rear Storage Locker which houses a Fiamma Safari room, and plenty of space for folding chairs and a table etc. 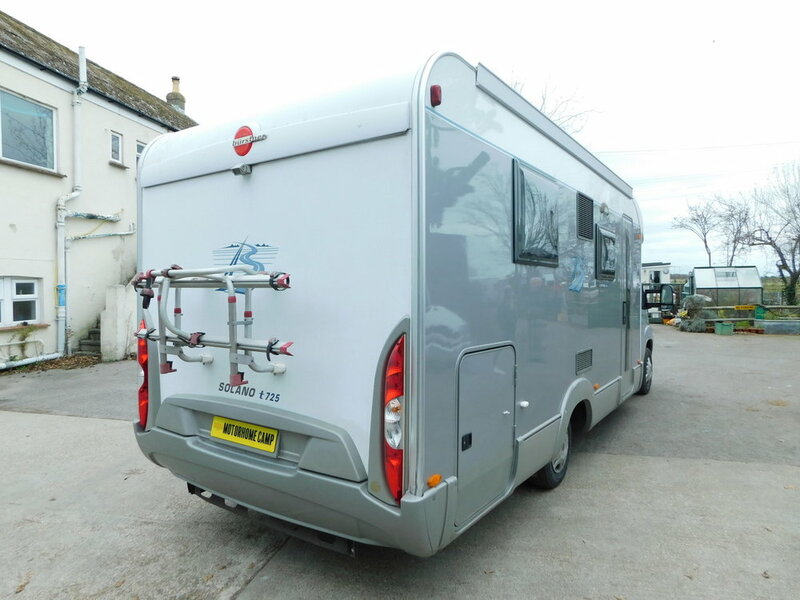 The current owner has removed the roll out Fiamma awning on the side of the motorhome, but we are happy to fit a New one for you. The Habitation door is the heavy duty Hartal model with twin locking points. This model is fully winterised with a twin floor construction. We also have a Bike Rack and the Colour Reversing Camera. We would be pleased to consider any Part Exchange that you may have.